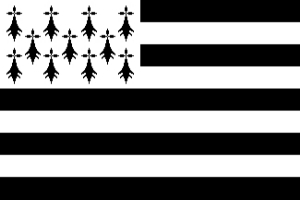 Breizh / Brittany was an independent nation until the marriage of the Duchess Anne to the French King. This was to prevent the French attacking and taking the country by force. The Breton Language was the majority language prior to the second world war but its native speaker base is confined to the coastal fringe. The French centralist authorities have oppressed both the language and the people, though the Diwan language schools are keeping the language alive with the children who attend them.